Oh we all love a wedding at Avery WePrint. So when I found out that WePrint fan Fran was getting married, I wanted to send her some love the WePrint way! Personalised printing of course! 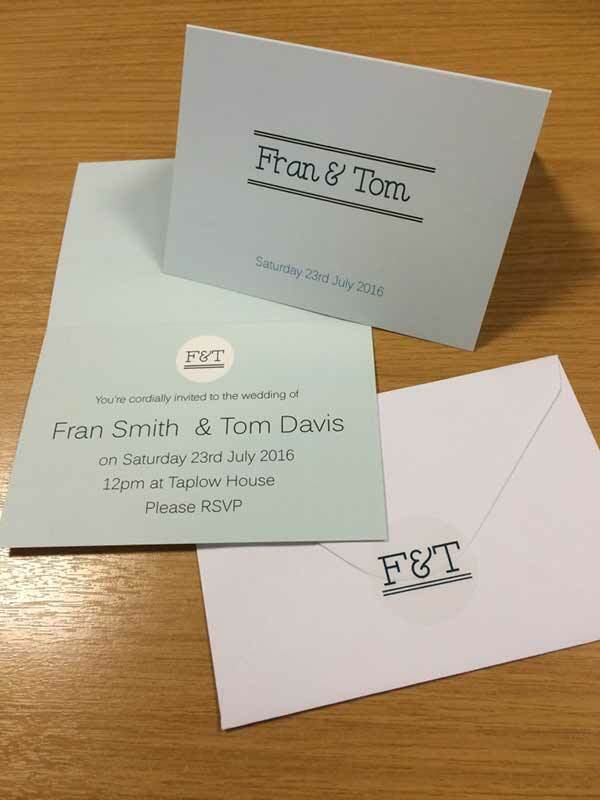 What to create wedding invitations? I started off with an invite of course! 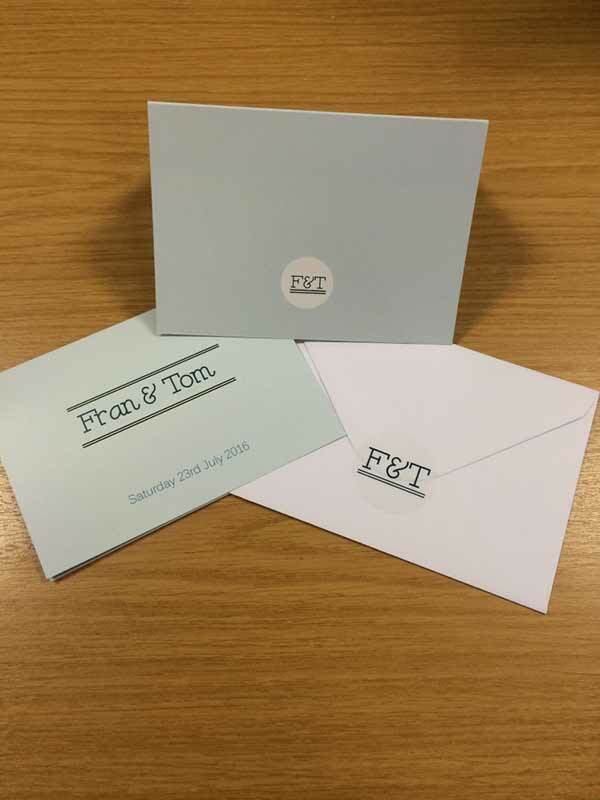 After a quick chat with Fran, we decided to focus on modern, understated simple wedding stationery. I love a cohesive feel when it comes to wedding stationery so we wanted to create a monogram that would work like a logo. Whenever you saw any of the wedding stationery, you'd automatically know who's wedding it was! The wedding stationery looked the part in the WePrint packaging! The invite was created using only shapes & fonts from the WePrint designer. After selecting an A6 greeting card, the first important decision was colour! I chose a light blue to fit with the understated modern theme with variations of the colour for the font. I chose Gasoline Alley for the script font (used for Fran & Tom's names) to make the invite look more decorative. I used the same font for their wedding monogram. And the invite turned out pretty well! Using the same colours and fonts made the stationery look cohesive. After creating the wedding invitations, the next step was to create the monogrammed envelope sealers. 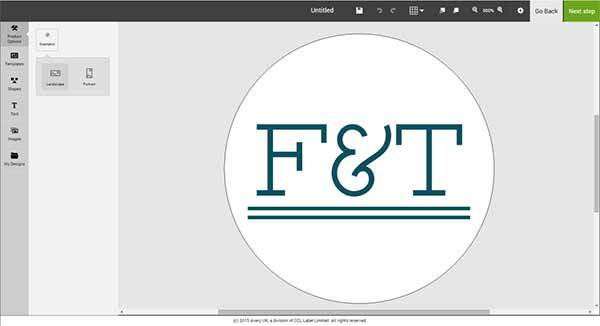 I chose to recreate the monogram from the wedding invitation on a glossy 40mm round clear polypropylene label. Using monogrammed labels really help your wedding stationery look custom-made. I only added the F&T text from the monogram, but left the background clear to ensure that the monogram really stood out! This is the first wedding stationery designed by the Avery WePrint team and it really looks the part! 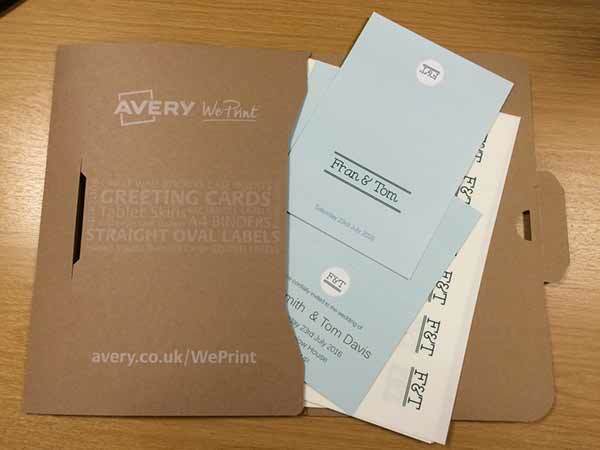 Good luck Fran & Tom from all of your friends at Avery WePrint! For more ideas on how to create stationery for weddings, check out our Weddings & Celebrations Get Inspired page.